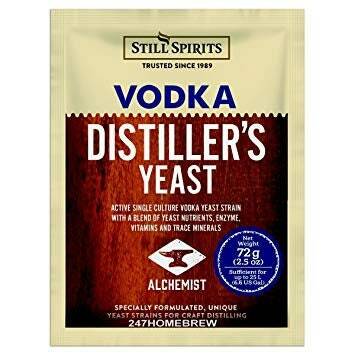 A high yield Vodka Strain (14%) with extraordinarily low metabolite production ideal for use with sugar, grain or potato feedstock in Vodka or other white spirit production. Provides complete nutrition for easy fermentation of low-nutrition ashes together with amyloglucosidase enzyme or Dextrin conversion. We ship worldwide, and combine shipping costs! Please inquire for a shipping quote for international and combined shipping!